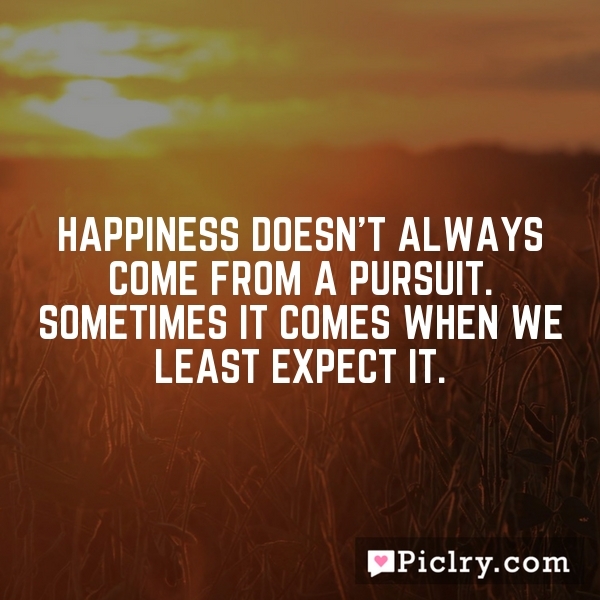 Happiness doesn't always come from a pursuit. Sometimes it comes when we least expect it. Happiness is the condition of who we are and how we think and what we believe and how we live. When we have reached the depths of despair, only then can we look up and see the light of hope.